A tiny microchip implanted via hypodermic needle, under the skin on your horse’s neck is a permanent form of identification. 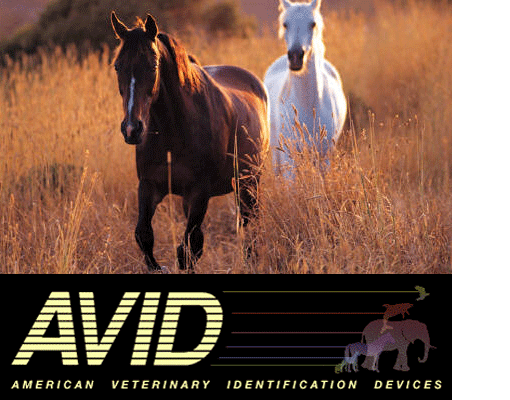 The microchip contains a personal and unique identification number that is associated with your horse. The ID number is linked to a database that allows anyone who scans your horse to identify you as the owner. We have the scanner to check your horse for an implant as well for your convenience. We offer two types of Microchip implants. The AVID microchip which offers a 9 digit ID. And the ResQ microchip which offers the 15 digit ID, now required by the FEI for passport Identification. These chips provide positive ID by law enforcement for theft identification. For emergency responders in disaster areas, animals can be identified and look-a-like horses can be identified.